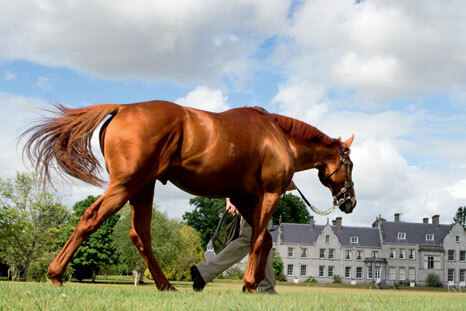 Raven's Pass colt Riflescope looks like an exciting prospect as the two-year-old progressed from a very creditable fourth in the G2 Norfolk Stakes at Royal Ascot (where he was beaten just a length and a half) to take the Listed Dragon Stakes at Sandown on 3 July. Settled off the pace during the early stages of the five-furlong contest under James Doyle, Riflescope was asked to quicken with around two furlongs left to run and picked up well to take up the lead and post a one-length win. This was the second victory for Mark Johnston’s charge, who broke his maiden at Lingfield back in May. A step back up to Group level could now be on the cards, as he holds an entry in next month’s Gimcrack Stakes at York. Bred by Chris and James McHale, Riflescope is the first foal to race out of the winning Selkirk mare Red Intrigue, herself a full sister to Stakes winner Red Liaison and a half-sister to multiple Group winner Redstone Dancer. Raven’s Pass is also sire this year of the useful filly Kataniya, who won the G3 Prix du Royaumont before finishing second in the G2 Prix de Malleret, plus fellow Black type winner Greg Pass.